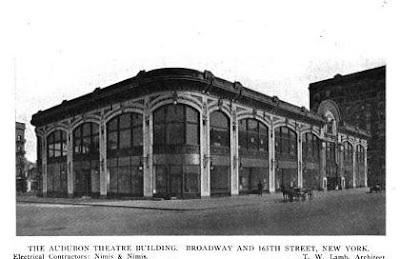 The Audubon Theatre designed by Thomas W. Lamb c. 1912 at Broadway and 165th Street in New York City. 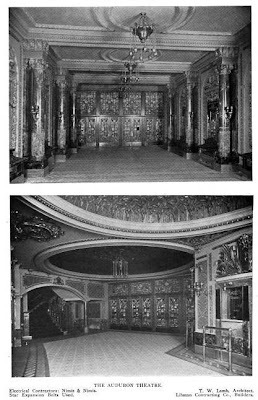 The ballroom at the theatre was the site of the assassination of Malcolm X on February 21, 1965. 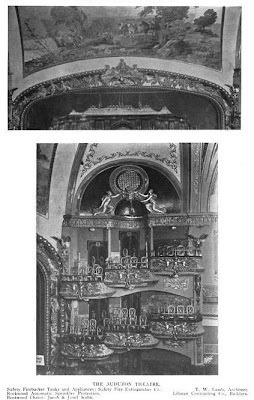 Click HERE for more and HERE for Christopher Gray's Streetscapes article on the theatre. The building has since been partially demolished, click HERE to see what remains on google street view. Thomas Lamb was THE atmospheric theatre designer of his time. What remains of his work is still an outstanding collection of fantasy and entertainment. His RKO Keiths theatre in Flushing NY with star filled sky and Italian hill town facades lining the walls of the auditorium is unfortunately on a slow road toward meeting the wrecking ball. With movie palaces like this, too much is never enough. I have very mixed emotions about the success of facade salvaging as the case here. On one hand it seems a noble compromise between preservation and progress. On the other hand the result always strikes me as very disingenuous. In this particular case the loss of the interior is more lamentable than would have been the loss of the remaining facade. Absolutely fantastic inner beauty. A beautiful theatre. Facadism can work when the exterior plays a critical role in defining the streetscape. It works when done well. 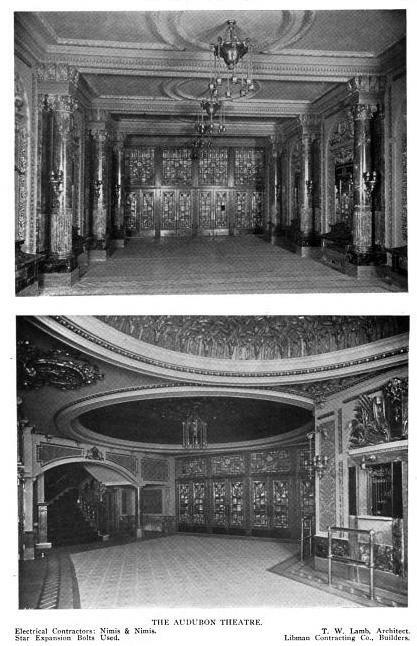 Here what was worth saving were the interiors.